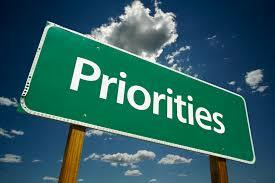 What is the top priority for HR leaders this year? Report calls for a shift away from the hierarchical structure of the workplace. Almost 9 in 10 (88%) of HR leaders say that building the “organization of the future” as the most important challenge for 2017, according to a Deloitte global survey. They described it as an “important” or “very important issue” in human capital trends. However, only 11% of them believe they understand how to build the organization of the future. Results came from 10,400 HR professionals and business executives across 140 countries. They represented a broad range of industries, including financial services; consumer business; technology, media, and telecommunications; and manufacturing. Deloitte described the “organization of the future” as a “network of teams,” marking a shift away from the hierarchical structure. “Top companies are built around systems that encourage teams and individuals to meet each other, share information transparently, and move from team to team depending on the issue to be addressed,” it said. These networks may already exist within a company, but the challenge lies in identifying them. Deloitte said different techniques, such as organizational network analysis (ONA), allow leaders to spot these networks. “Instead of mere efficiency, successful organizations must be designed for speed, agility, and adaptability to enable them to compete and win in today’s global business environment,” Deloitte said. Careers and learning; talent acquisition; employee experience; and performance management rounded out HR leaders’ top five priorities, respectively.